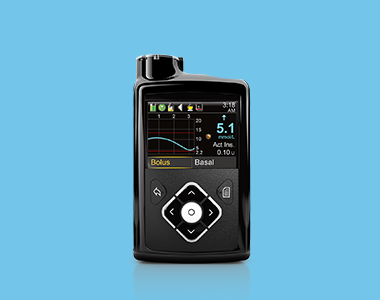 Some poeple are using Insulin pump therapy to improve their quality of life. If you have Type 2 insulin dependent diabetes, you may qualify for our pump consumables grant, and save up to 90% on RRP*. This means that pump consumables will cost roughly the same as they do for people with Type 1 Diabetes that can access the NDSS consumable. WHO IS THE SUBSIDY PROGRAM FOR? We have 250 pump consumables grants available to those with insulin dependent Type 2 diabetes who want to experience the latest in pump therapy. Anyone with insulin dependent Type 2 diabetes*. You must also agree to allow your insulin usage data to be used in our clinical reports. Certain clinical criteria apply in assessing your eligibility. Your doctor will discuss this with you. Please note, to be eligible for a pump, you must have a suitable level of hospital cover with a private health insurance fund. Just complete your details on one our contact forms and one of our representatives will contact you about the next steps. With eligible hospital insurance you could get coverage for an insulin pump. * Terms and Conditions apply. If you are an Australian Resident who has insulin dependent Type 2 diabetes and private health insurance, the cost of the pumps is generally covered by your insurance provider depending on your level of hospital cover. You can apply for this grant to access pump consumables at a reduced cost. Pump consumables are an essential part of insulin pump therapy. The patient is a featured member of the Medtronic Patient Ambassador Program. This patient testimonial relates to an account of an individual’s response to treatment. The account is genuine, typical and documented. The response other persons have to treatment could be different. Please consult with your healthcare professional for information on whether the treatment is appropriate for you. For more information, please speak to your healthcare professional. ^Components are sold separately.